It's going to be a big year for this energetic group – book your tickets today to a part of it! 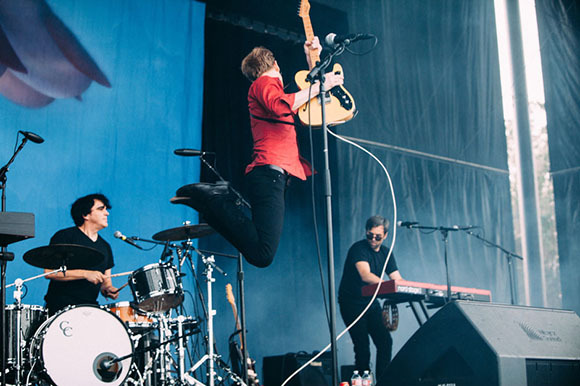 Spoon sure know how to get a crowd jumping to their electrifying sound as they combine elements and take influence from all of the best bits of Indie, Alternative and Rock to bring fans a satisfying set every time. Britt Daniel (vocals, guitar); Jim Eno (drums); Rob Pope (bass guitar, guitar, keyboards, backing vocals), and Alex Fischel (keyboard, guitar) are of course the members that make it all possible. Together they play around with sound to break the barriers and experiment through their music. A career that has spanned over the last 22 years and counting, they have produced several albums and have developed with the times, their biggest records have included; Girls Can Tell (2001), Kill the Moonlight (2002), Gimme Fiction (2005), Ga Ga Ga Ga Ga (2007), Transference (2010), and They Want My Soul (2014).